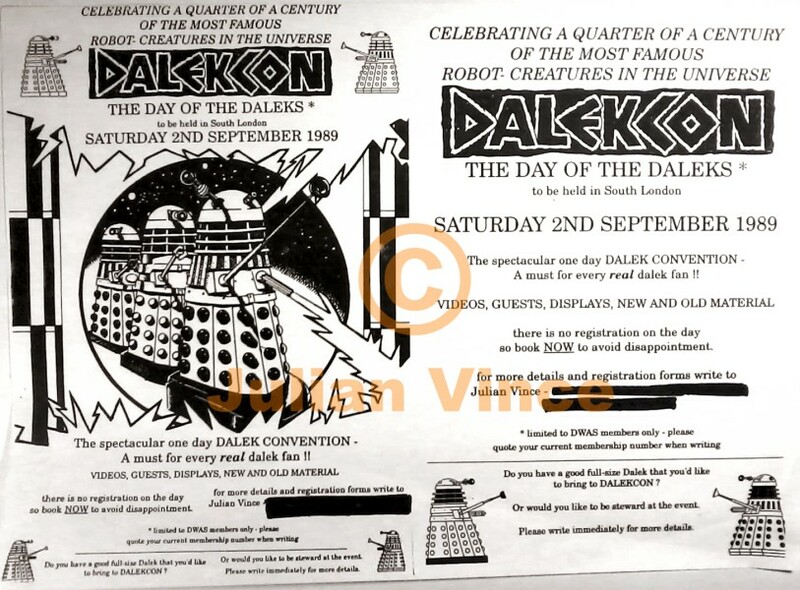 In 1989, my love of all things DALEK led to me creating the first ever DALEK CONVENTION, which of course just had to be called, DAY OF THE DALEKS. It was held in a venue on the London/Surrey border. It was okay, but people who said they'd help, proved unreliable, some being entirely absent when they'd promised to be there. Despite that, I managed to get personal appearances from original (and best) DAVROS actor, MICHAEL WISHER, his 'sidekick' NYDER, actor PETER MILES, and DALEK-MEN, JOHN SCOTT MARTIN, CY TOWN and ROY SKELTON. 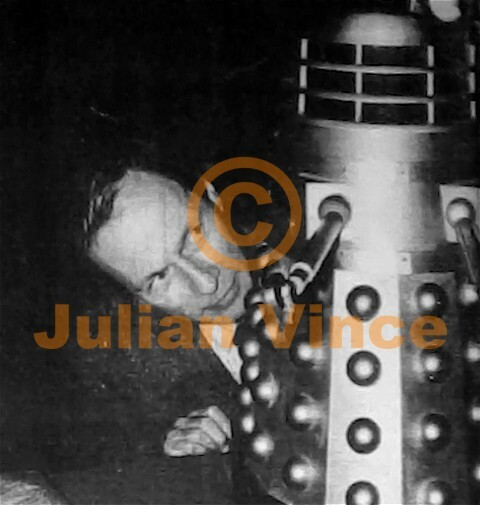 Also approached, but sadly unable to come along (although encouraging towards my event in their letters to me) were DALEK VOICE-MEN from the original 1960s DALEK stories, PETER HAWKINS, and DAVID GRAHAM, as well as movie actor and star, ROY CASTLE. I'd wanted the original DAY OF THE DALEKS actor, AUBREY WOODS (He'd been the candy shop owner in WILLY WONKA AND THE CHOCOLATE FACTORY) to reprise his role of THE CONTROLLER, from the 1972 TV adventure, but he couldn't make it. So instead, I asked a chap called NICK BRIGGS to play the character (I wonder whatever happened to him?). NICK is, of course, the new voice of the DALEKS in the re-launched DOCTOR WHO series (2005 to present). I also commissioned a young PAUL CORNELL (another new series writer) to write a couple of brief plays starring DAVROS and NYDER, which were performed by the respective actors, to the audience at the event. A joy to behold.